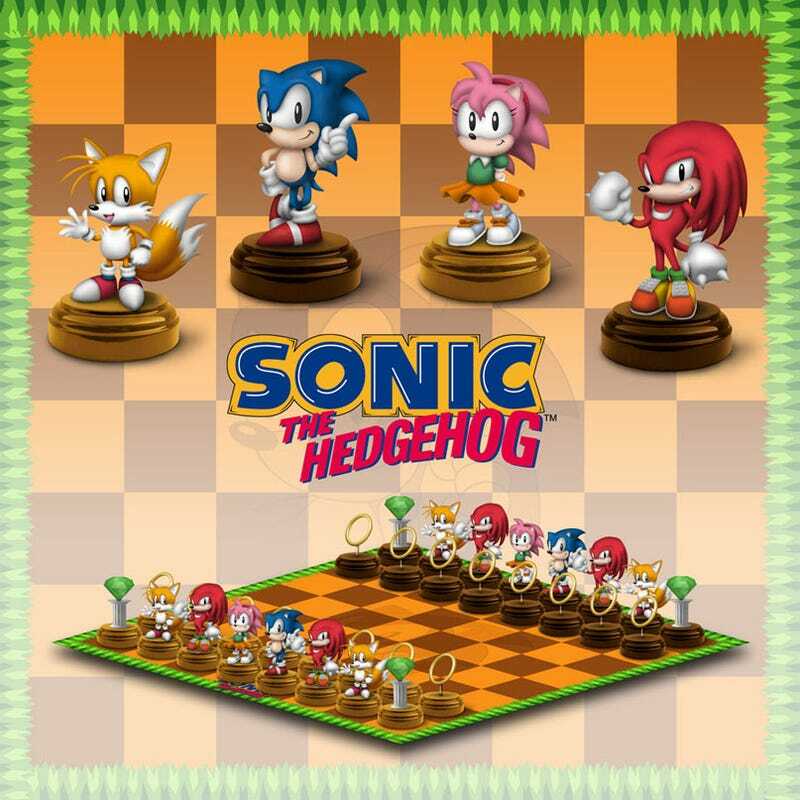 The board itself uses a Green Hill Zone motif, while Sonic characters appear as pieces. Everyone's favorite blue hedgehog is the king, Amy is the queen, Knuckles is the bishop, Tails is the knight and the Chaos Emeralds are the rooks. Rings are used as pawns. The set will be out next Feb/March for approximately US$50. Sure, it could have more Sonic characters, but this is actually kind of neat — thank you Germany!